Since The Legacy of Caraka was published three years ago it has drawn the favourable notice of reviewers and accounted for three new impressions and a translation into Malayalam. It was against this rosy background that friends, especially Dr Kuttykrishnan Nair of Thiruvananthapuram two reviewers and my wife Ashima urged me to write a similar volume on the Susruta Samhita which ranks in authority with Caraka's. 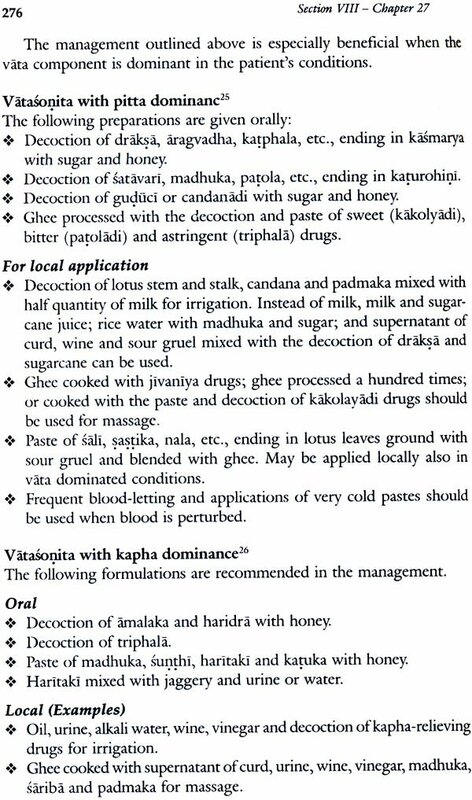 I was persuaded that the welcome accorded to y Caraka study had not a little to do with its thematic approach would be appropriate in a book on the Susruta Samhita. 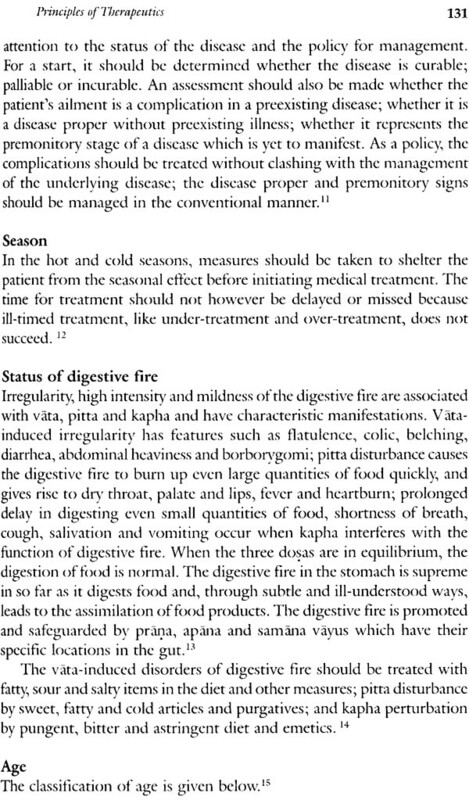 Fortunately the use of a simpler and later version of Sanskrit, more logical presentation of material and the overall surgical orientation of the text made the study of the Susruta Samhita less difficult and less time-consuming than my Caraka endeavour. 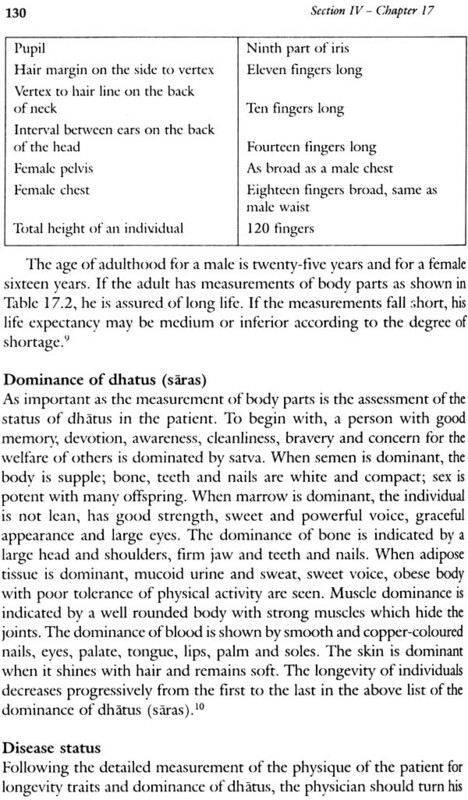 Apart from thematically arranged material which leaves out none of the chapters of the original and the tabular presentation of data, The Legacy of Susruta also features a large number of figures to illustrate events, instruments, anatomy and a variety of procedures. I was introduced to the Susruta Samhita through Kaviraj Kunjalal Bhishagratna's classic and highly readable edition which continues to be popular. However, I found that a more accurate and contemporary understanding of the original was provided by using Professor P V Sharma's translation in association with Dalhana's Nibandhasangraha commentary. My practice throughout was to study the original on my own for rearranging the vast and carried material and to follow up by reading the translation and commentary before writing my text. I have differed from them here and there and clarified the description of several surgical procedures. 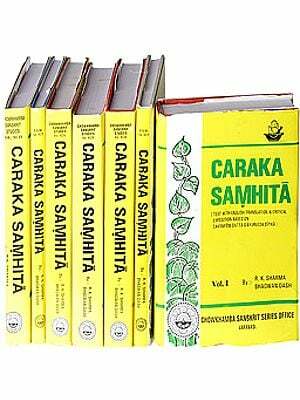 I have made no attempt to survey the extensive literature on the Susruta Samhita (it would have been a pedantic exercise) and have confined myself to an overview of Susruta's times and contributions in the introductory essay as I did in The Legacy of Caraka. I am well aware that readers are less interested in what other say about Susruta than in what he himself had said. My effort received a major boost by my appointment as a National Research Professor when the study was in progress. I am grateful to the Government of India for this singular honour and hopeful that the Professorship may, by a subtle alchemy, graduate into a national science initiative for research in ayurveda unburdened by herbal product development and global marketing. I was fortunate tht may endeavour caught the attention of Dr P K Warrier, the much-admired Managing Trustee and Chief Physician of the Arya Vaidya Sala, Kottakkal who laid me under a debt of obligation by offering whole-hearted cooperation. It was on his suggestion that Dr K Rajagopalan of Kollam, a consultant to the Arya Vaidya Sala, agreed to review my manuscript. 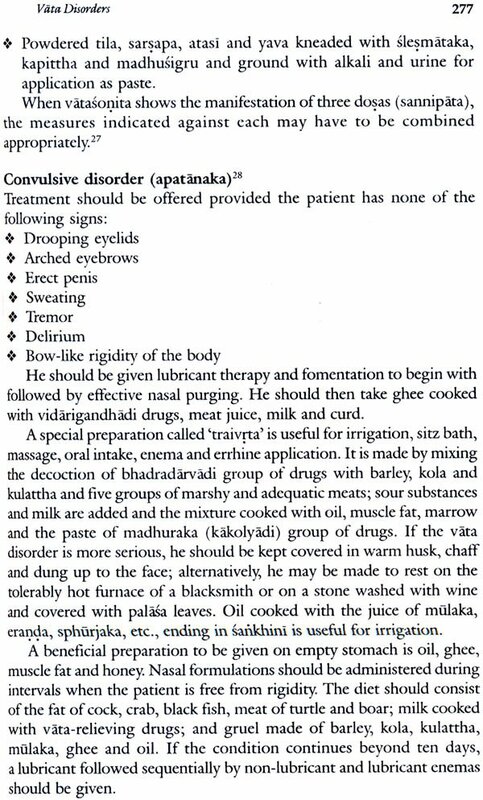 A reputed senior physician who migrated to ayurveda from modern medicine, he is recognized widely for his profound scholarship of Brhatrayi. His insistence on fidelity to the original which he could often quote from memory, and his friendly demenour made my discussions with him in Kottakkal an enjoyable experience. Apart from allowing me free access to the Arya Vaidya Sala library, Dr Warrier also introduced me to Dr C Ramankutty of the Arya Vaidya Sala who is an ayurvedic physician, a meticulous scholar and an authority on medicinal plants. Dr Ramankutty liberally and cheerfully checked the accuracy of references and diacritical marks in my manuscript, prepared the botanical names of plant, formulated on index and also corrected the proofs. I have no words to thank these two outstanding scholars for their expert assistance. The Kottakkal team also included Dr T S Murali, Chief of R&D, who made sure that the arrangements for travel, meetings and exchange of information were always efficient and faultless. To all my friends in the Arya Vaidya Sala I owe a debt of gratitude. I am grateful to Dr Ramdas Pai, President of Manipal Academy of Higher Education for continuing to provide excellent facilities for my study in the academically vibrant atmosphere of Manipal. Mr. Abraham Joy prepared the illustrations for the present volume based on whatever information and drawings were available in the literature and on his own innovative ideas. His drawings have enlivened the book, for which he deserves my sincere thanks. 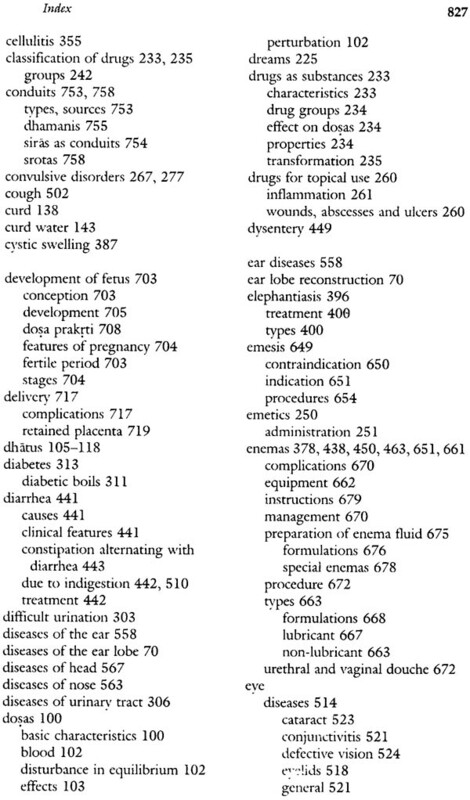 I am beholden to Professor Jyotir Mitra of Banaras Hindu University for enlightening me on Panini's references to Susruta, to Dr K Sasidharan, Professor Urology, for drawing my attention to the revival of the perineal approach of Susruta by Gadhvi for prostatectomy and to Dr Suresh Pillai, Associate Professor of ENT, Kasturba Medical College, Manipal, who supplied the sketches for nose repair based on the terse account of Susruta. Special thanks are due to Ms Usha Kamath who typed and retyped the voluminous manuscript and kept track of files with admirable patience and efficiency as papers moved in and out between Manipal, Kottakkal and the publisher's office in Chennai. Last, but not least, I acknowledge gratefully the editorial assistance and support of Ms Padmaja Anant of Orient Longman Private Limited. 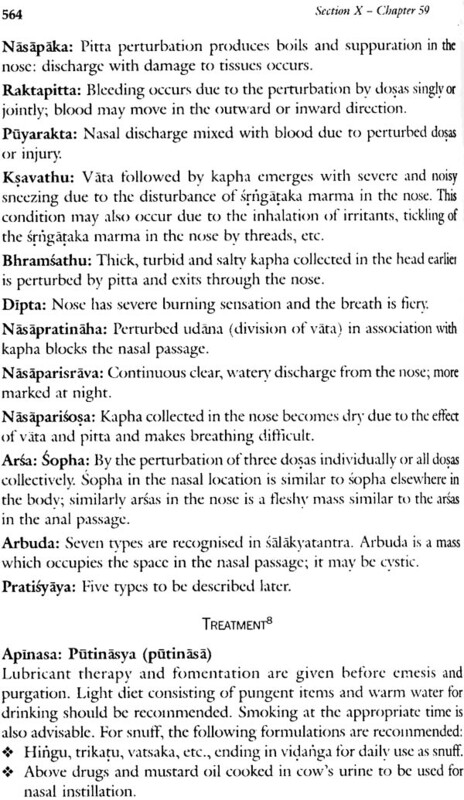 The Samhitas of Caraka and Susruta are timeless classics whose authority was acknowledged by the great Vagbhata many centuries ago. 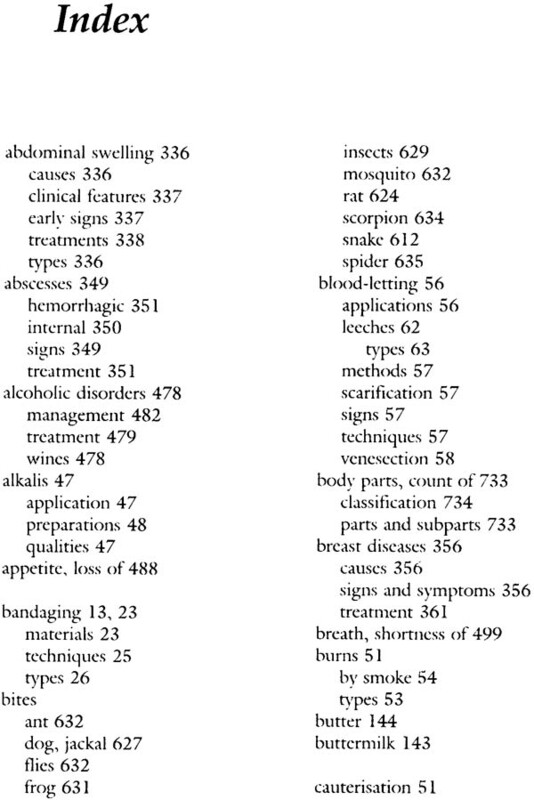 Their Forerunners-Agnivesatantra and Susrutatantra-and many other ancient texts are lost, probably forever. We should be thankful that the Samhitas are still with us and their language can be understood unlike the script of Mohenjo-daro which smiles enigmatically but remains indecipherable. 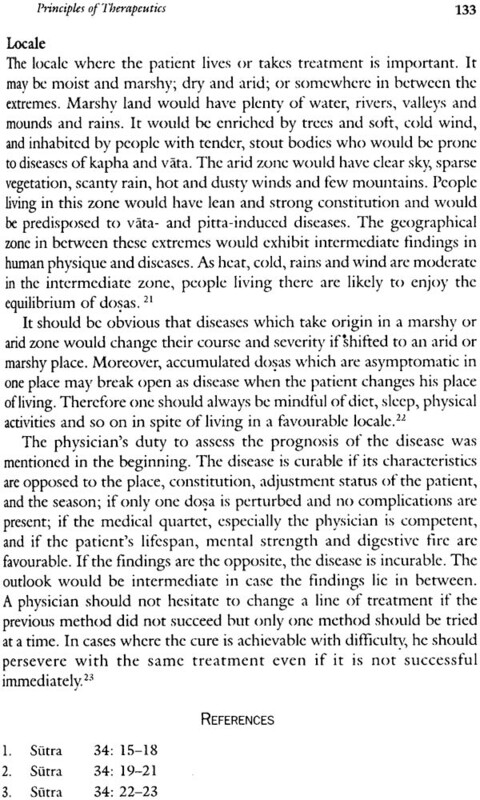 We are Fortunate that we can not only read what Caraka and Susruta wrote but can also discover ourselves and out lives 'in sickness and in health' in what they wrote so very long ago. 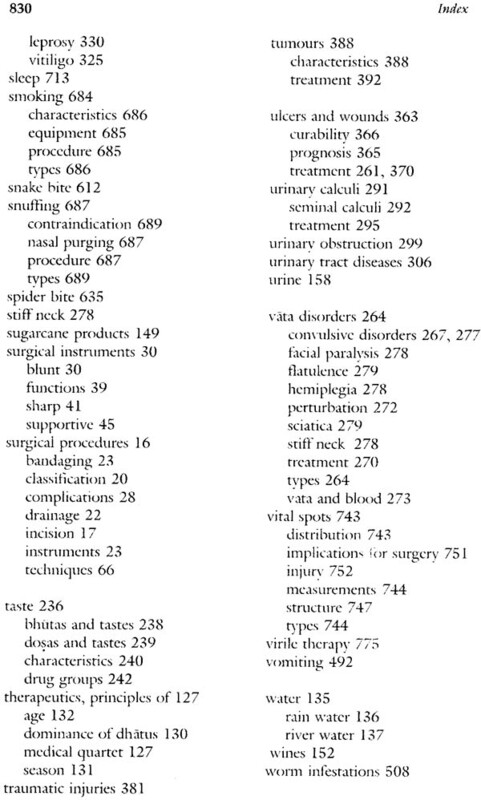 Susruta's name is synonymous with India's surgical inheritance. A legendary figure, he is believed to have lived and taught in Varanasi several centuries before the Buddha, and composed the Susrutatantra which became a timeless medical classic. Though the original text was lost long ago a redaction by Nagarjuna survived as Susruta Samhita and won universal acclaim. 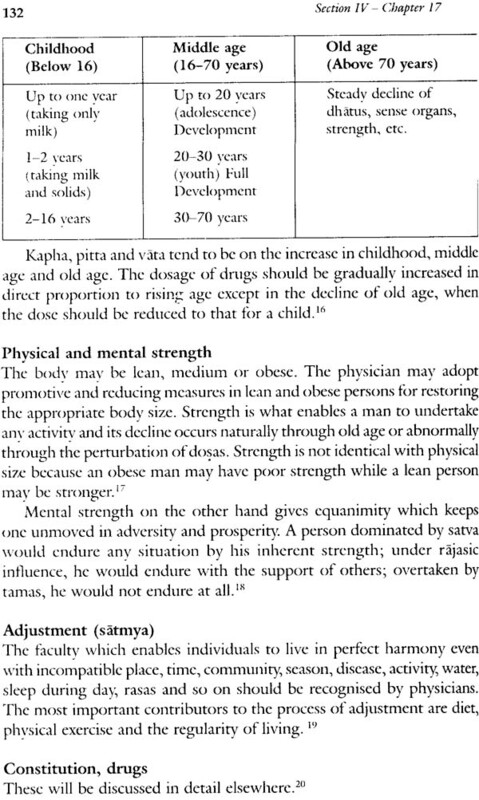 The Samhita is a study of the human condition in health and disease with undisguised emphasis on surgery, and rivals Caraka's classic in authority. 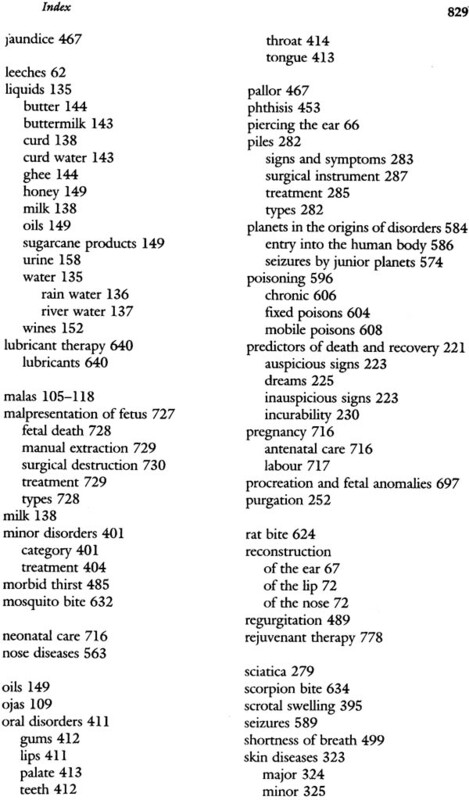 In The Legacy of Susruta, the text of Susruta Samhita has been recast in a thematic fashion without sacrificing any of the content of the original chapters. 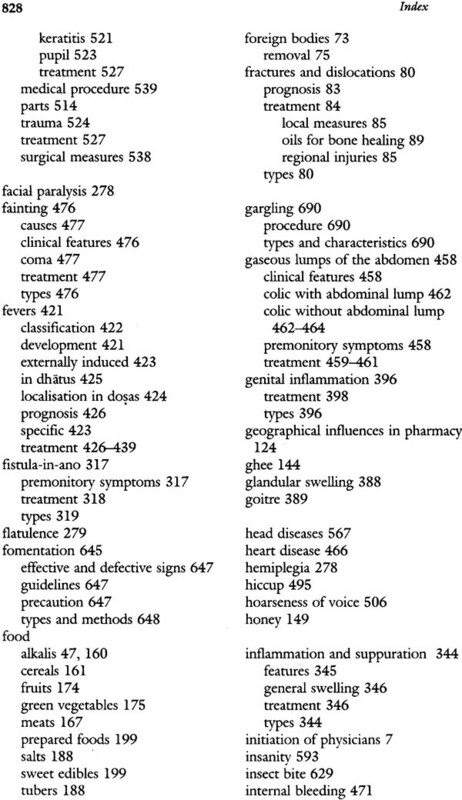 Furthermore, it presents much of the data in tabular form, and features many tables and illustrations in an effort to reach out to readers who may include not only students of ayurveda but also of modern medicine, biological and social sciences and the history of science. A native of Kerala, Dr. M S Valiathan received his medical education in India and training in surgery and cardiac surgery in the UK and USA. During a career spanning three decades as a surgeon and investigator, his major interests were cardiac surgery in Children, studies on a tropical heart muscle disease, and the development of cardiovascular devices. His contributions are embodied in a monograph, many scientific papers and a family of medical devices including a tilting disc heart valve, all of which are used widely in India. The present volume is a companion to The Legacy of Caraka which was published by Orient Longman in 2003. Dr. Valiathan is a National Research Professor of the Government of India. He is married to Ashima, an orthodontist. They have a daughter, Manna, and a son Manish. A surgical colossus standing astride many centuries of India's past, Susruta nevertheless remains a historical puzzle. Cakrapanidatta, Bhavamisra and Dalhana are unanimous that he was the son of Visvamitra; this is supported by statements in the Susruta Samhita as well as the Mahabharata. This Visvamitra could not obviously be identified with the Rg vedic seer whose name is almost synonymous with the Gayatrimantra. 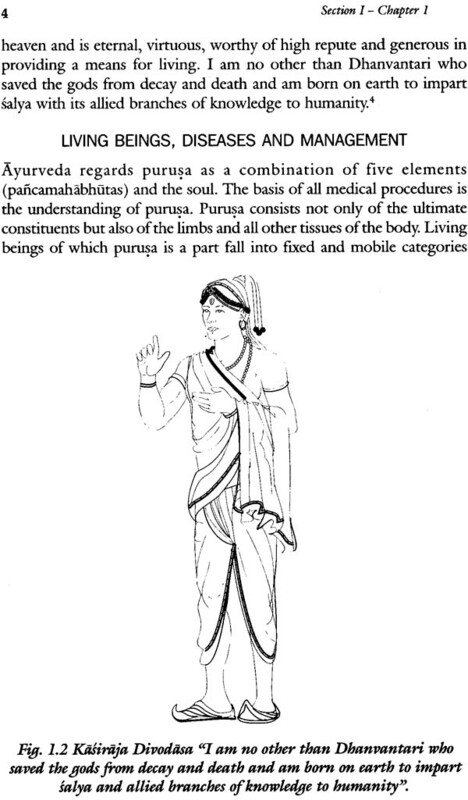 Susruta studied ayurveda from Divodasa who was a king of Kasi and a descendant of Dhanvantari. As he was chosen by his classmates to put questions to the revered preceptor and interpret the answers for them, Susruta was admittedly the first among equals and gifted with a superior intellect. The period when Susruta lived has been a subject of much debate. Hoernle who pioneered studies on ayurvedic texts in the early part of the twentieth century held the view that the original Susrutatantra. which was redacted probably more than once 'admittedly belongs to a much earlier period, possibly as early as about 1000 BC.' This view had been advanced by Hessler earlier in his Latin edition of the Susruta Samhita wherein he placed Susruta in 'the heroic age of India, the beginning of which is not known but the end of which is marked by 1000 BC.' Moreover, as pointed out by several authors, an indicator of Susruta's antiquity is the reference to him by Panini who used his name as a familiar example in elaborating on Sutras. In relation to 'tena prokram he added 'Susrutena proktam Sausrutarn' (what was stated by Susruta is Sausrutam); in Kartakauja padayasca, he stated 'Susrutasya prthosca chatrah" (the foremost of Susruta's pupils); in the gloss on the Sutra 'ktena nanvisstena anan', one finds 'kutapapradhanah sausrutah, kutapasausrutah' (the blanket-wearing pupils of Susruta). As the time of Panini has been fixed around 700 BC by Goldstucker and it would have taken one or two centuries for the name of Susruta from Banaras in the east to become so familiar to Panini who lived near or in Taxila in the west, it is reasonable to believe that he lived and taught well before Panini. A corroborating piece of evidence emerges from the life of Buddha's physician jivaka whose birth in Pataliputra, medical training in Taxila and admirable skills as a physician and surgeon are vividly recorded in Buddhist texts such as Mahavagga and the jataka tales. If the young and brilliant jivaka proceeded from Patalipurra to faraway Taxila for training in surgery and medicine, it is clear that Banaras had yielded preeminence in ayurvedic studies ro Taxila by the time of the Buddha. This decline can hardly be accounted for unless Susruta (who marked the zenith of salyatantra in Banaras) had passed away centuries earlier. Furthermore jivaka's trephining of the skull finds no mention among Susruta's techniques indicating that the procedure was non- existent in Susruta's time. Professor Iyotir Mitra suggests that Kasiraja Divodasa had temporarily withdrawn to Bharadvaja's Asram in Uttarakasi following his defeat by Haihaya Ksatriyas and the teachings of the Susrutatantra had originated during his exile. This possibility is also supportive of the antiquity of the original text. The Samhita which bears Susruta's name and ranks with that of Caraka in authority is a product of one or more redactions of an original tantra which Susruta had composed. 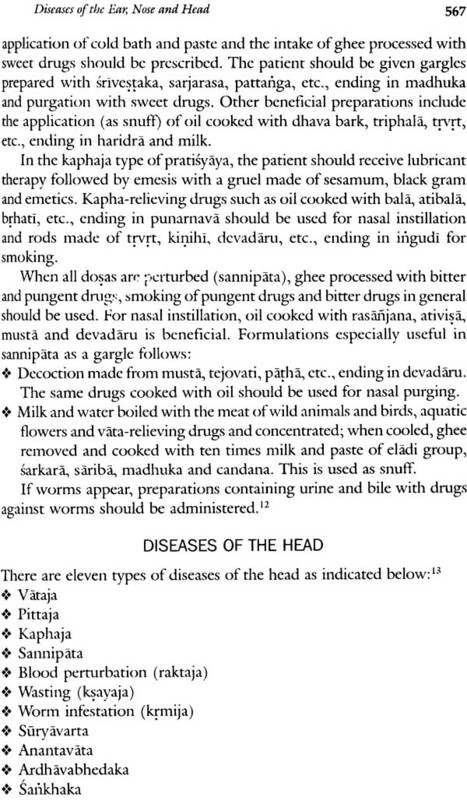 Tantras dealt with specific subjects in the manner of monographs and ancient India prided in tantras which dealt with subjects such as toxicology and eye disease. Among Kasiraja Divodasa's disciples, Susruta and his classmates Aupadhenava, Vaitarana, Aurabhra, Pauskalavata, Karavirya and Gopuraraksita authored tantras on salya but only Susruta's text managed to survive the ravages of time through successive renewals in the form of redactions. Its most important redaction is attributed to Nagarjuna whose identity has not however been established beyond doubt. The authorship of Uttaratantra has also been controversial but as it was a part of Susruta Samhita at the time of Vagbhata it has considerable antiquity and has a justifiable claim to have been added during the redaction of the Susrutatantra. It is generally held that Susrutatantra was redacted by Nagarjuna, the great Buddhist philosopher who pioneered the Madhyamika or Sunyavada school. Nagarjuna argued that there is no truth, no essence in all phenomena which, therefore, are neither produced nor destroyed; nor do they come or go. They are a mere illusion and the so-called nirvana is no more than the cessation of the seeming flow of phenomena. In the Madhyamikavrrti he declared that Buddha was a phenomenon and was therefore a mirage or a dream, and so were his teachings! The claim that this path-breaking philosopher was the redactor of Susrutatantra is hardly credible for several reasons. 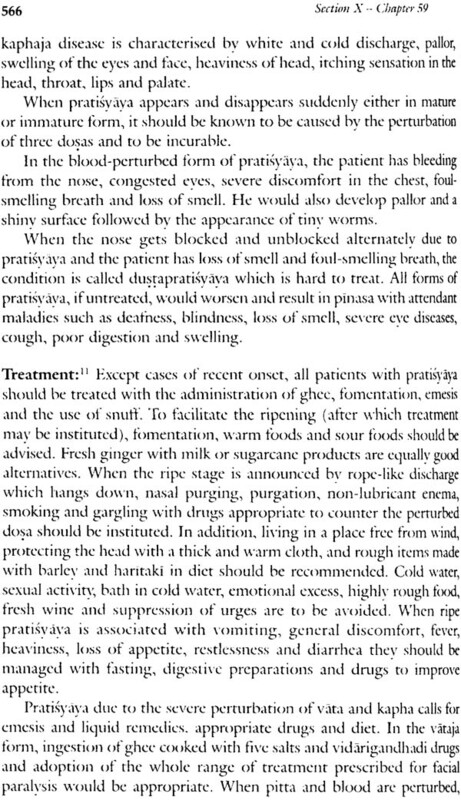 In the first place, the depth of medical knowledge in terms of the structure and functions of the organs; manifestations, causes and prognosis of diseases; details of therapeutics and surgical techniques which abound in the Susruta Samhita could not be plumbed by anyone except an expert in medicine. Secondly, Nagarjuna-a nihilist--could not conceivably have redacted hymns addressed to gods including Krsna and Rama, endorsed the worship of brahmanas, or supported the rigid caste hierarchy, all three of which figure prominently in the Susruta Samhita. He could not possibly be a party to classifying snakes on the basis of caste! Another school of thought attributed the redaction of Susrutatantra to Nagarjuna, the reputed alchemist of the tenth century AD. As pointed out by several scholars including Bhisagratna, this view lacks merit because verses from the present text of Susruta Samhita were quoted by Vagbhata in the Astangahrdaya two centuries before the alchemist Nagarjuna. Until new evidence appears, we may therefore conclude that an unidentified N agarjuna was responsible for reinventing the original Susrutatantra in the present form, and that he lived after Drdhabala who revised the Caraka Samhita. The redactions, over centuries, became the substrate for further changes by others especially by Candrata.